Do you hear the people sing? Singing the songs of studious law students? It is the music of the people who will not get HD’s again. Yep that’s right. Law Ball 2017 was revolutionarily good. So good that I trust there were a few sore heads the next day. 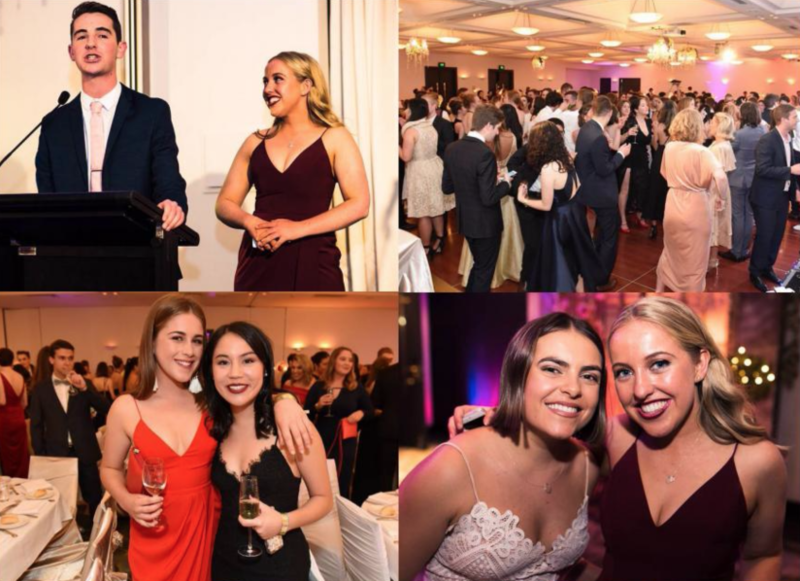 The Biggest Law Ball in the Southern Hemisphere took place on Thursday the 3rd of August with over six-hundred ANU students donning their most ostentatious gowns and robes as they descended upon the QT Hotel. The 2017 theme, Versailles, ensured that the event was as decadent and extravagant as always, with guests partaking in frivolous dancing and feasting until 11PM. This year Law Ball was generously sponsored by Allens and Linklaters. MJ Bale also generously dontated a $899 suit to be raffled off, with all proceeds going towards Cambodian NGO’s. The night could not have been a success without this sponsorship and also without the help of the incredible LSS Events team consisting of Lucy Price, Katharine Fu and Shiban Shahid! This incredible trio dedicated over twenty hours pouring over Excel spreadsheets ensuring that tables were as preferenced as possible. But following the French revolutionary theme, it wouldn’t have been right if we didn’t whip out the guillotine and ‘chop, chop’ to table 57 and 58. We let them eat cake, by themselves, but luckily everyone was in good spirits and we’re grateful for their understanding. Just like Marie and Louie, we kicked on to the Paris of the Southern Hemisphere. Civic. Acadz, also known as the better sibling of Moulin Rouge, pulled out all the stops and provided drinks including Head on the Blocks and Viva La Revolution. Massive shout-out to all the committee who helped out both during the day and night, it couldn’t happen without you. Felicity is a second year Law/Business Administration student and current LSS VP (Events). Posted in All, Student Experience.